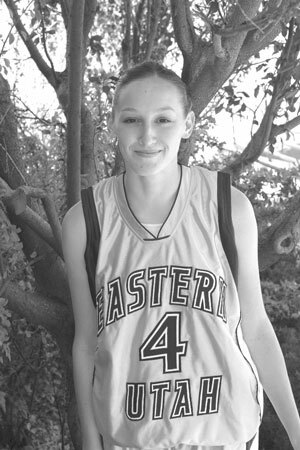 Chelsey Warburton started playing basketball, as a young girl. She said, “Playing in my backyard, shooting hoops instead of doing chores is how I started. My parents played basketball too.” She is the daughter of John and Stacy Warburton, from Helper, Utah. She is one of six children and has become who she is today through the inspiration of her family. The most important thing Warburton has learned from Coach Dave Paur has been, “You’ll only be as good as the time and effort you put into it.” Warburton is majoring in criminal justice and is playing ball and schooling at Weber State next year.